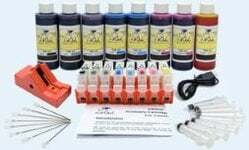 This set of eight refillable cartridges is compatible with the EPSON Stylus Pro 7800 and 9800 printers. These cartridges are extremely easy to refill. Simply remove the cap, pour the ink through a funnel, and put back the cap. 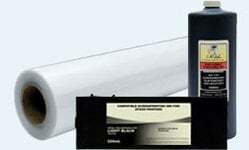 These cartridges come with one-time chips which can later be reset using our wide format chip resetter. 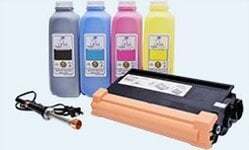 The cartridges hold 250ml of ink each. The cartridges come empty and must be filled with separately purchased ink. 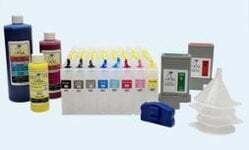 The cartridges are translucent so that the ink can easily be seen. An optional matte black refillable cartridge is sold separately.